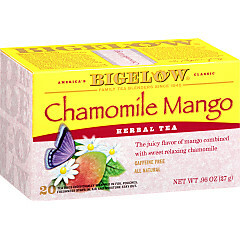 The tropical flavor of Mango makes Green Tea With Mango and Chamomile Mango sing! 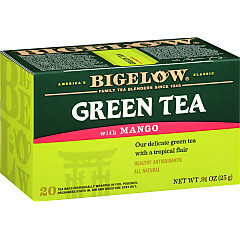 Bigelow Tea has blended two unique teas with the essence of this sweet, juicy fruit. When served hot, the aroma will take you right to the tropics. And served over ice? Well, it is simply divine!